Scott is a Daviess County native, born and raised Catholic, attended Deer Park Elementary, Burns Middle School, and Daviess County High School. Scott was in ROTC and attended college at Eastern Kentucky University to study law enforcement. Scott is married to Samantha Wheatley, and they have two children - James Dean and Taylor Faye. Scott's family are now members here at Blessed Mother Church. Scott's father, Aaron, has worked as a Maintenance Mechanic at Our Lady of Lourdes Church for over 20 years, and we hope Scott will be with us here for that long as well. 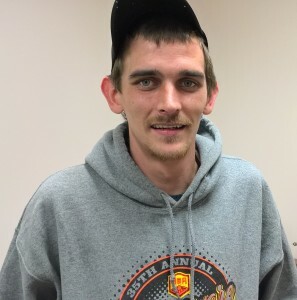 Scott enjoys hunting, working on cars, and spending time with his family.